Miami Beach, FL – December 6, 2018 – Hosted by community builder Tony Cho and interdisciplinary artists Olivia Steele, Tyler Goldflower, J. Margulis, and Dino Urpi, Ignition is a unique pop-up experience benefitting the Path of the Panther, a non-profit organization focused on increasing awareness around the endangered Florida Panther. As part of the event, the artists will unveil a series of artworks created throughout the various rooms of the on-site hotel. The units will then be listed on AirBnB, allowing guests to immerse themselves in a one-of-a-kind blend of visual, audial and performance art. Those in attendance will also be treated to a musical performance by Nacho Arimany, exclusive product samples, passed bites and more. 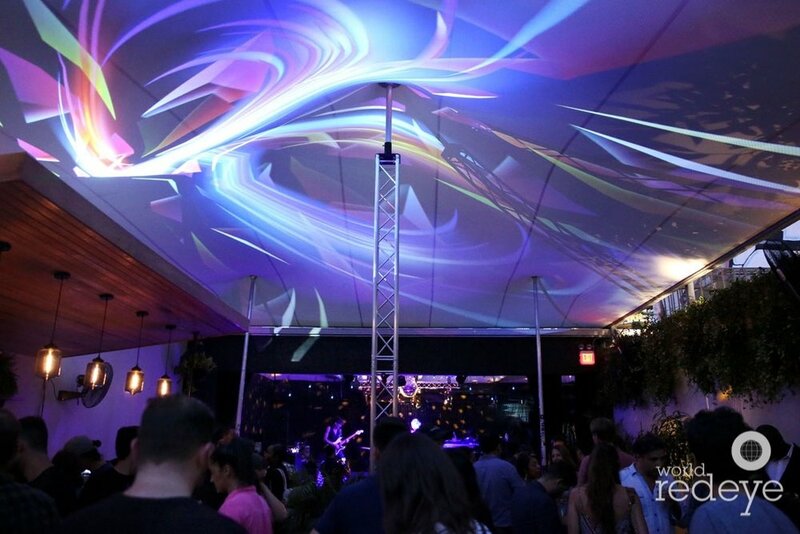 Miami, FL – July 12, 2017 – 1306 opened it’s doors to friends and family for a preview of their newly renovated courtyard with a live performance by Golden Glades and DJ Mike Deuce. A new welcome addition to the courtyard is Chef Michael Beltran’s Chuggies test kitchen, serving up their take on bar food with their frita and chugg burger. Miami, FL – December 31, 2016 – Ringing in 2017 was Miami’s most exclusive rooftop revel, from the masterminds of some of the world’s most prestigious events, Denial Events alongside The Shop Ibiza presented “Mental Asylum NYE 2017.” Whisper Cocktail Lounge at W Miami in Brickell set the stage for international super acts Nervo, Sunnery James and Ryan Marciano, Helena Legend, and more, creating over ten hours of high-energy, jam packed entertainment. From high voltage lightening performances by Tesla Coils to jaw-dropping jetpack stunt performers, Denial Events and The Shop Ibiza created unrivaled guest experiences inspired by the wants and desires of their prestigious clientele. Chef Walter Martino, also known as the “Most Luxurious Chef in the World,” curated culinary masterpieces that were equally as delicious as they were beautiful. From Lobster Risottino with parmesan cheese aged for 24 months and Truffle Tortellini in black and white truffle sauce to the Bresaola Beef Roll with a touch of Black truffle honey. Denial Events wowed event goers for a truly unique and awe-inspiring NYE experience. Miami, FL – June 11, 2014 – It was all about celebrating a luxurious new addition to come in Miami yesterday evening as The Related Group, in collaboration with sbe, opened SLS Lux’s sales center doors to a crowd of VIP brokers, debuting the most elevated living experience in Brickell. Hosted by a visionary team of power players in real estate, hospitality, design and art, attendees toasted to the newly launched brand in Miami, which follows this Fall with sbe’s highly anticipated SLS Lux Hotel in Las Vegas. Behind the Botero sculpture that was recently moved to the property, guests were able to enjoy mouthwatering hors d’oeuvres prepared by dining hotspot Katsuya, a restaurant that will be featured on site with the completion of the building.